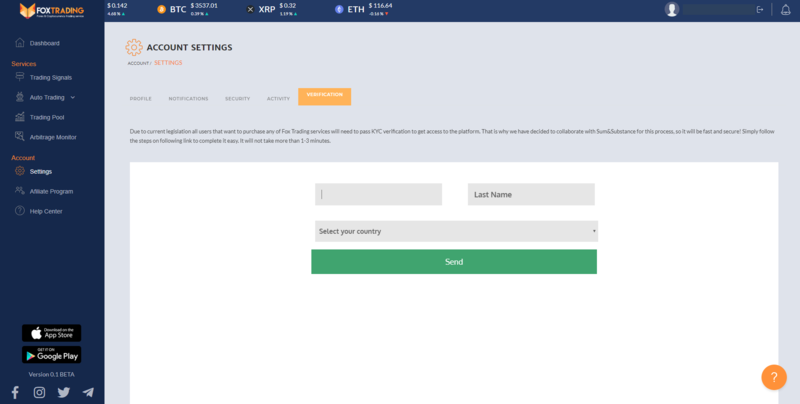 KYC stands for Know Your Customer, it is the customer verifying process to ensure that the user who wants to have access to the platform services or purchase FOXT through it fulfils the KYC and AML policies. We are updating these policies according to each country regulations to know if the users can have access to the service. 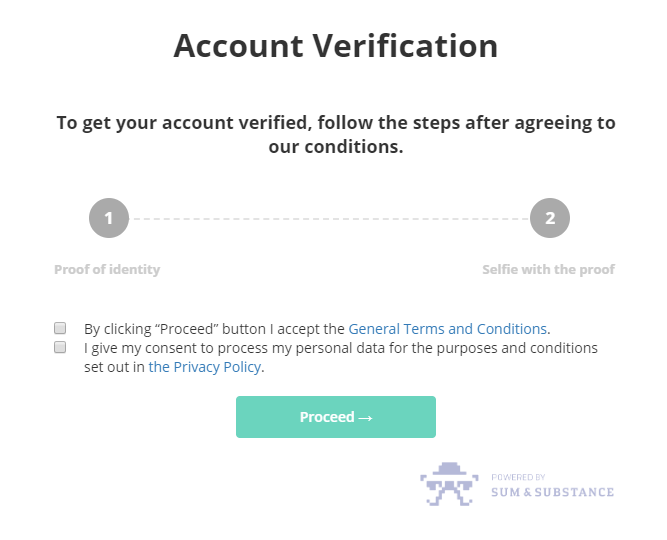 To validate your identity click on Settings then Verification and finally, Verify your account. Then, the following page will appear. As you can see you must enter your Name, Last Name and Country of residence. Click Send button after you have filled the information required. The following page will pop up. 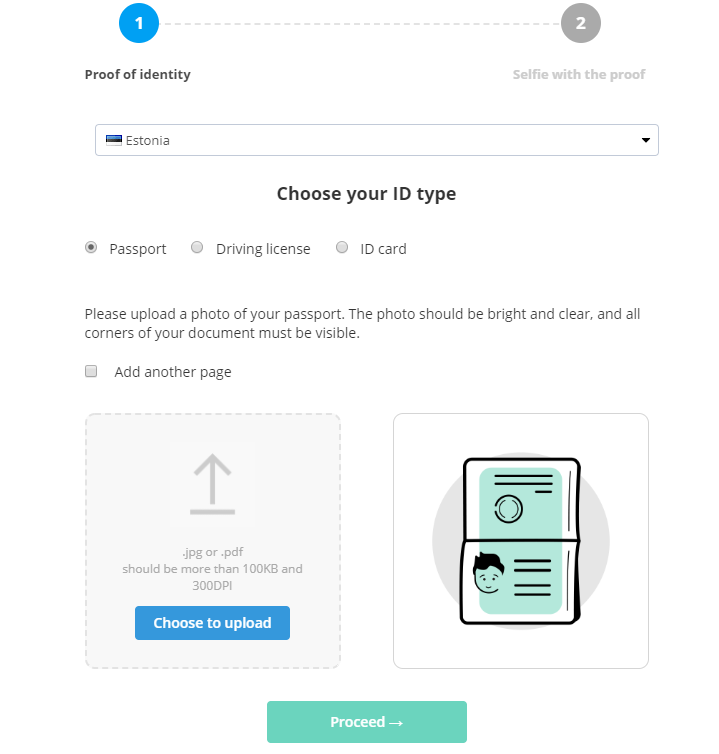 Now you need to show the ID and after make a selfie with your ID on the hand. You can use ID, driving license or passport, all three are valid. 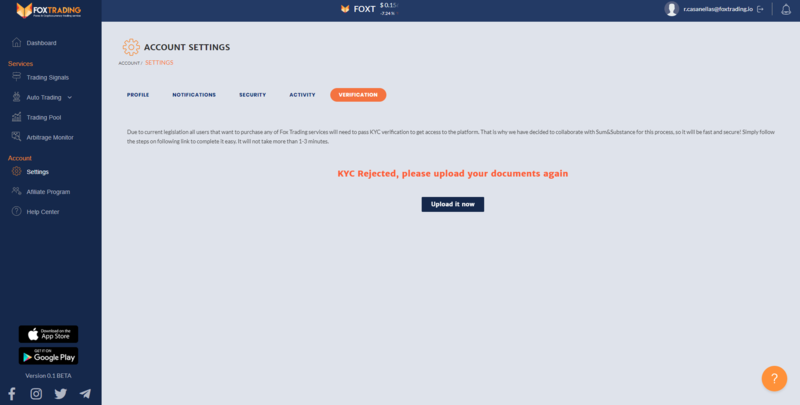 Click on Choose to upload, add your ID document and click on Proceed. 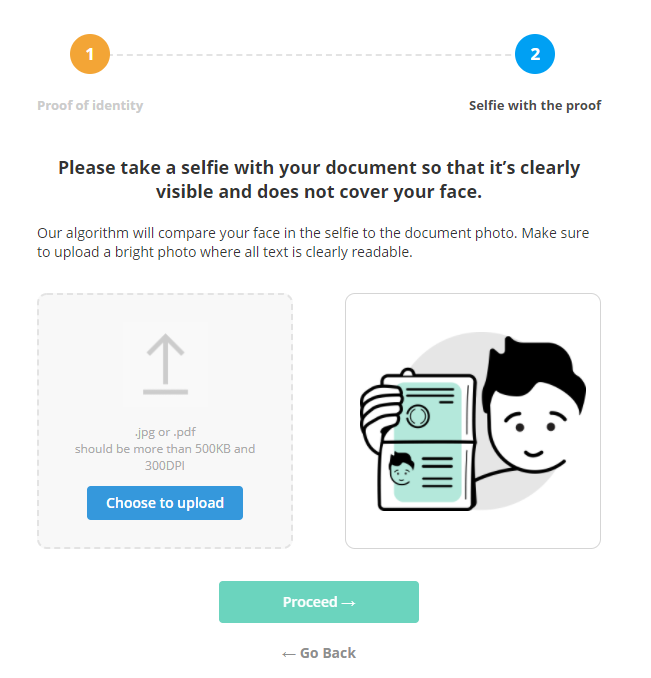 The second step, take a selfie with your ID. Once this is done, your documents will be reviewed. It usually takes only a few minutes. If your KYC verification is accepted by Sum and substance, the specialized company responsible for this process, you will be able to start using our services this same day. 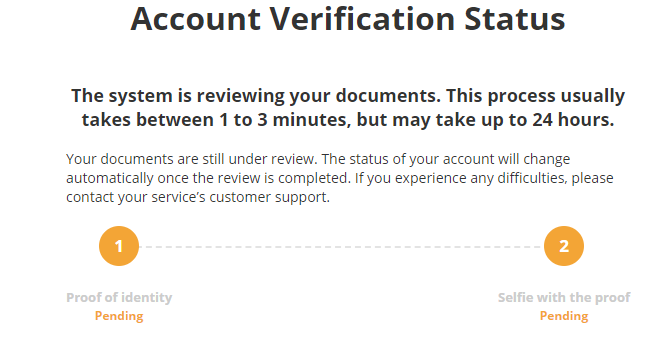 If the KYC verification is rejected, as it is shown on the picture below, then, please upload your documents again following the specifications carefully. We cannot verify the documents as they are reviewed by Sum and substance, that's why you are the only one who can upload them.